BLU Products, the market leader in unlocked mobile devices in the United States announced today, the availability of its mobile product range through Amazon.in thereby extending its global partnership with Amazon to India. The BLU Win JR LTE and Win HD LTE will also be sold through Microsoft retail points across India which is currently being sold through online channel Snapdeal. As part of its strategic and focused move to tap into the fast-growing smartphone market in India, BLU has set up its India office, located in Gurgaon, the National Capital Region. BLU, known for designing affordable and stylish mobile devices, keeps up with trendy and quality devices priced competitively, while having the Indian consumer in mind. 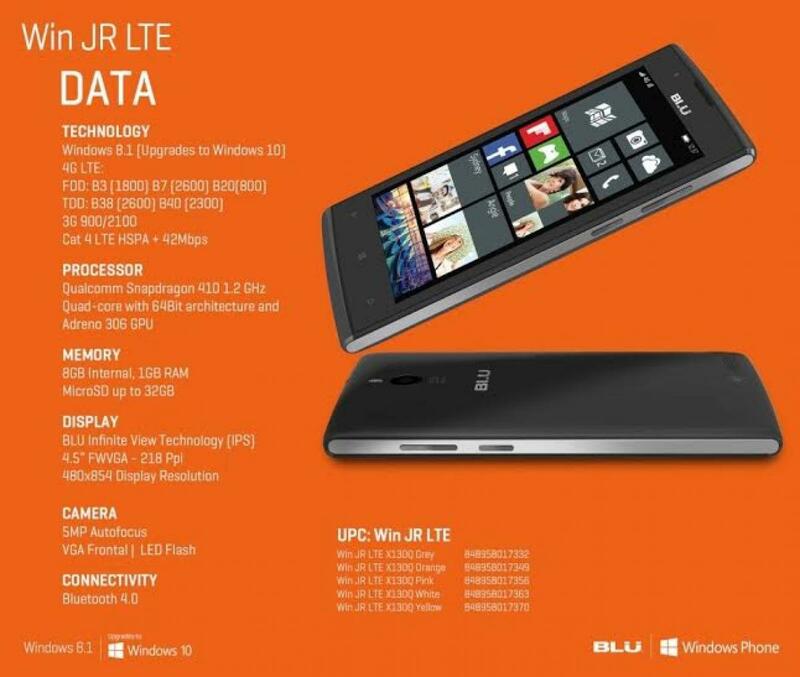 The new BLU Win JR LTE and Win HD LTE will be unlocked with Dual Sim functionality for use on any compatible network in the region with blazingly fast 4G LTE data speeds and will be available for Windows 10 upgrade. The BLU Win 4G LTE Series, come with big and bright screens, great cameras and super-fast LTE processing. Powered by a 64-Bit Qualcomm Snapdragon 410 processor, both devices come in a number of vibrant, trendsetting color options, with BLU continuing to push the boundaries to bring the best quality, eye-catching designs with exceptional pricing to unlocked smartphone fans in India. BLU Products has seen tremendous growth in the past few years. In a relatively short time span, BLU has sold over 30 million mobile devices in over 40 countries, which include the U.S., and other international markets like France, Germany, Italy, Spain, and the UK. BLU products, is also planning to launch Android and feature phones in the month of November. Windows 10 is the world's easiest operating system, designed to fit your lifestyle. This will give the user an ecosystem that integrates many mediums from their office, home and into the palm of their hand. With Windows 10 the experience is even more seamless and personalized as ever as the familiarity from handheld to the PC domain makes it for a user-friendly experience. The Win JR LTE features an upgraded display performance from its predecessor with a vivid 4.5" display and IPS technology, including an upgrade to 1GB RAM for the international variant. Dual camera support with a main 5.0 mega pixel autofocus camera with LED Flash on the rear, as well as a front facing camera for Skype video calls and selfies. Details are in the design, with a beautiful cross hatched pattern along the color matched metal finishing on the side keys ensures a continuous and streamline design. The finishing touch is a round curve design that provides maximum handheld comfort and a compact appearance.